Does anyone ever really accomplish their New Year's goals or resolutions? Most that I read are more like life goals than something that can be "finished" in a set time frame. I'm not looking back over the past year with a lot of regret even though my list of resolutions could be the same for 2012 I did some of the things on my list but as I've mentioned elsewhere, it seems that the more planning I do, the more diversions I face. And I know that's life, right? But, I wouldn't trade most of them for anything on my New Year's list! Congratulations and a Merry Christmas to Sadie, the winner of the New England Cheesemaking Company's 30 minute Mozzarella Kit! Please email me your address so I can forward it to the company! Thanks so much for entering! A vintage sled to welcome visitors. These delicious cookies are as sweet to look at as they are to eat. Start with a batch of sugar cookies. Split the sugar cookie dough in half. Add egg yolk, peppermint extract, and crushed candy to the other half. Cover and chill for 5-10 minutes. Roll out separately to about 1/4 inch thick. 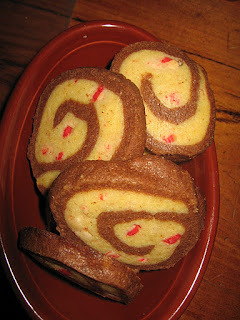 Place peppermint dough on top of the chocolate and press together. Wrap in wax paper and chill for 2 hours. Unwrap cookie log and slice into 1/2 inch slices. 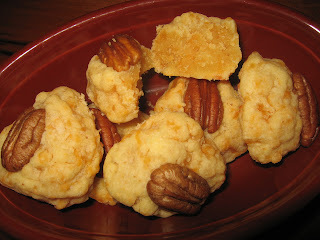 Place cookies 1 inch apart on a greased cookie sheet or parchment paper. Bake 12-13 minutes rotating the pan half way through. Remove from oven, let sit on baking sheet for 2 minutes. The gift that keeps on giving! Win this 30 minute Mozzarella Kit. Consider it a Christmas present to yourself! We had a great time making this together. And we have supplies to do it 29 more times! Of course the "taffy stretching" hands-on part was a favorite...but I'm getting ahead of myself! I've recently had an opportunity to try out the 30 Minute Mozzarella Cheesemaking Kit from the New England Cheesemaking Supply Company. 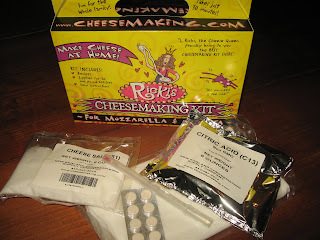 The kit includes everything you need to make a 1# batch of mozzarella cheese ~ 30 times! That's right, 30# of cheese with one kit! All you add is the milk. We had a great time and it was really easy to do. We used raw milk from a local farm. 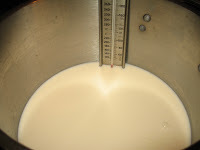 First, we heated the milk to 145°F for 30 minutes. Then we cooled the milk quickly by placing the kettle in a sink of ice water. We added the citric acid which was dissolved in water. It's important to be sure the water doesn't contain chlorine. Then we heated the milk again to 90°F stirring constantly. At this point, we removed the kettle from the stove and slowly stirred in the rennet solution we'd made earlier. The pot was covered and allowed to rest for 5+ minutes. Now we could see the separation begin to happen. But the curds weren't quite set enough so we gave it a few more minutes. 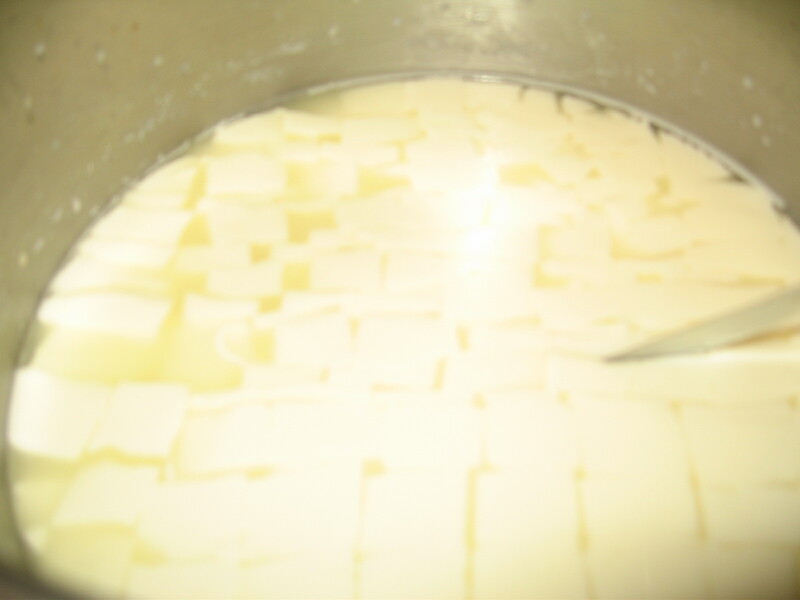 Using a knife that would reach the bottom of the pot, we cut the curd into cubes and made diagonal slices as shown in the directions. Now we could see the whey begin to separate more. We put the pot back on the stove and heated the curds to 110°F while slowly moving the curds around in the pot to help separate the solids. Then we took it off the heat and continued stirring gently for 2-5 more minutes. The whey was poured off into a pitcher and the solids remained in the colander. We heated a pot of water to 185°F. 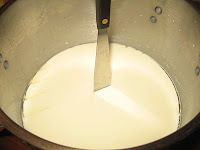 Then we dipped the colander with the curds into the water several times to rinse the whey off and heat the cheese again. 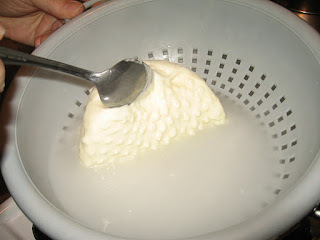 After folding the curds over to drain the whey, they began to get stretchy and elastic. Here's the fun part! You pull the cheese like taffy to lengthen the proteins. You can add some cheese salt (included in the kit) while you stretch the cheese until it's shiny and smooth. Once you reach this stage, you can form a braid, a log or a ball with your cheese. 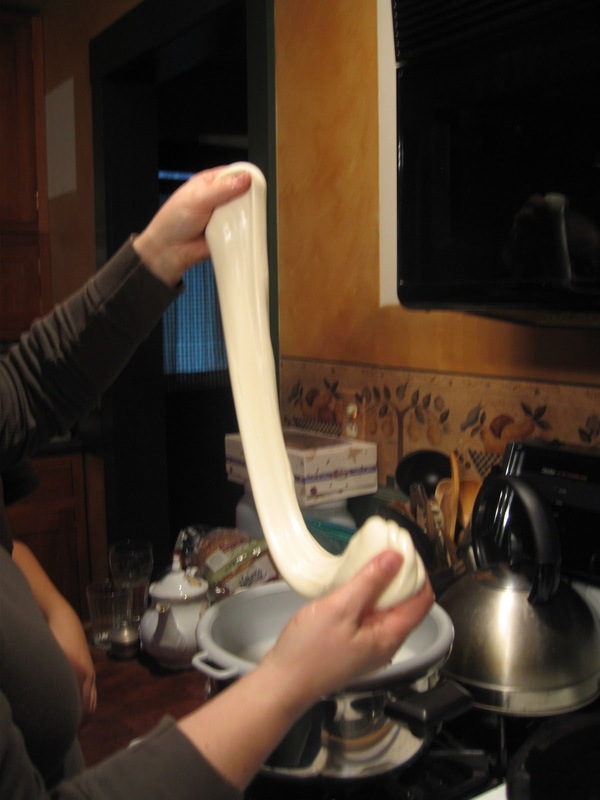 If you want to make string cheese, simply stretch the cheese into long pieces and cut. Drop them into cold water for 5 minutes to set the cheese. Then let set in ice water for another 15 minutes. This is important to keep the cheese from becoming grainy and protects it's silky texture. Voila! 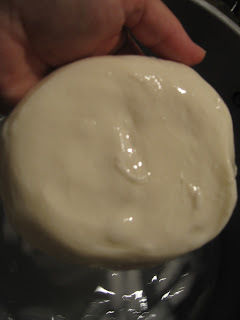 30 minute mozzarella right in your own kitchen! This is a great project to do with kids! Now, here's the exciting part! The folks at New England Cheesemaking Company have offered to sponsor a giveaway for one 30 Minute Mozzarella Kit to a lucky person somewhere in Canada or the US! You have 5 chances to enter! 2) Blog about my giveaway and leave a comment below with the link to your post. 3) Tweet about my giveaway and leave a comment below. 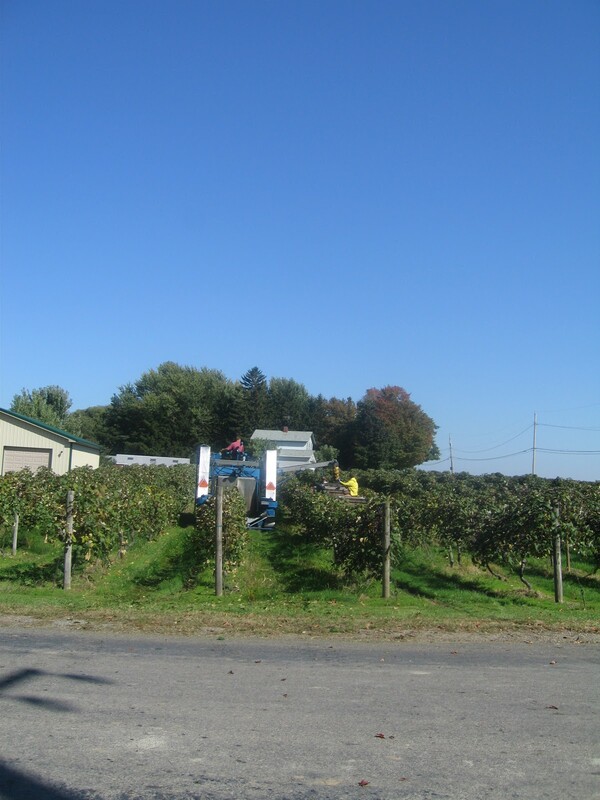 4) Visit New England Cheesemaking Supply Company and leave a comment below telling me what product interests you the most. 5) Follow New England Cheesemaking Supply Company on Facebook and leave a comment below. At 6PM on Christmas Eve 2011, I'll draw a random number from the comments section to choose the winner! 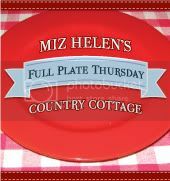 I'm sharing this with the folks @ Homestead Barn Hop, Simple Lives Thursday and Miz Helen's Full Plate Thursday. Click on their buttons to see what's happening there. 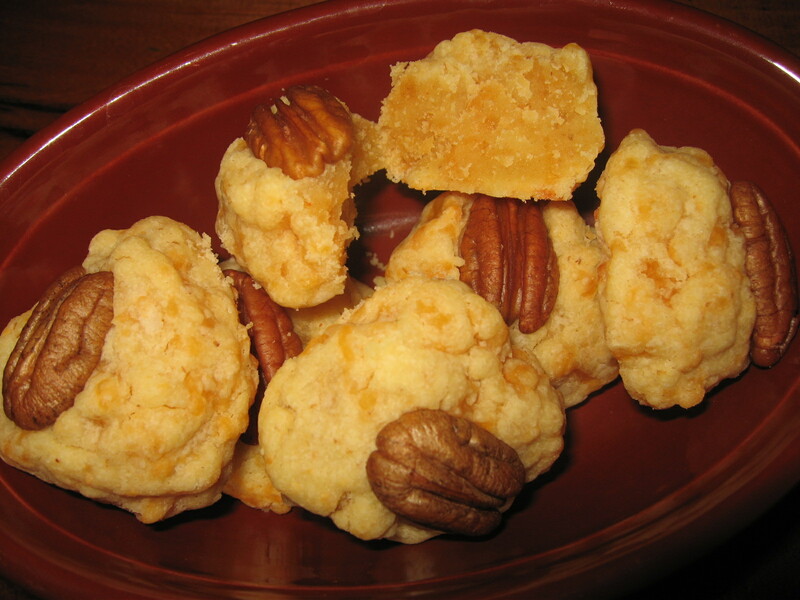 Here is a quick little cheesy treat that looks as nice as your favorite Christmas cookie but offers a slightly bitey, light, crumbly alternative to traditional sugary cookies. Bake @ 425° for 10 minutes. These are also very tasty with a little chopped fresh rosemary added! Yum! Sharing this post with Simple Lives Thursday! Baking soda...I truly believe it's one of the wonders of the world! Used for all kinds of household cleaning from laundry to scouring, digestive upset and much more, this kitchen staple is also a valuable remedy to knock out a cold or flu. The reason this works is because baking soda neutralizes acid. 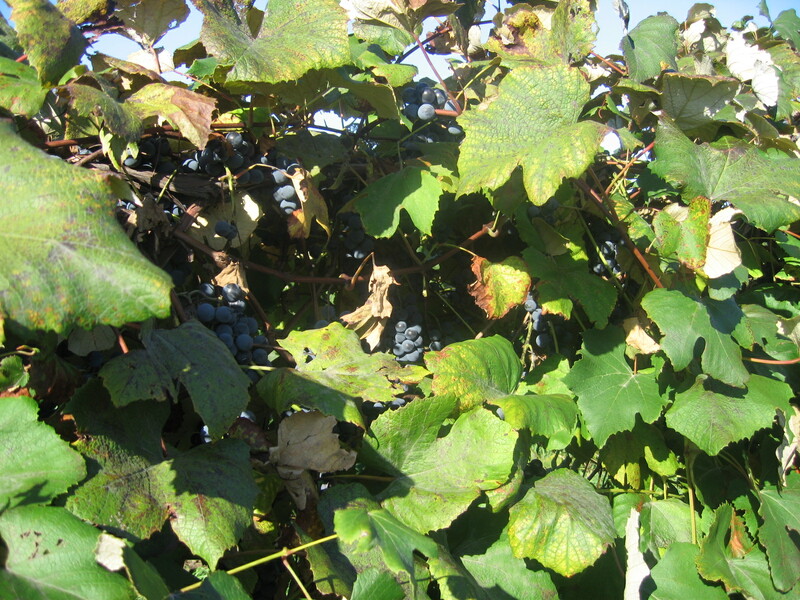 Pathogens thrive in an acid environment. So lowering the pH of the body at the onset of a cold or flu makes the terrain unfriendly to the survival of unwanted cold and flu bugs. A note of caution though.. use baking soda that doesn't contain aluminum. Also, if you suffer from high blood pressure or fluid retention, be aware that ea. 1/2 tsp of baking soda contains 616mg. of sodium. Baking soda can deplete essential, vitamins and minerals (especially B vitamins and Chromium) so don't exceed the maximum dose or use for more than 2 weeks. Dissolve 1/2 tsp. of baking soda in a glass of cold water. Repeat every two hours up to 6 times. Do the same up to 4 times. Drink once in the morning and once in the evening. Drink once in the morning until cured. Wanna Try a Little Herbal Alchemy in Your Own Kitchen? LearningHerbs.com offers the perfect starting point for your herbal learning experience. It's like taking 8 herbal classes in a box with all the supplies you'll need for this hands-on course. A great way to introduce herbal remedies to your family. Click on the photo to the left to purchase. Then, follow up with an herbal course through LearningHerbs.com/Herbmentor.com or Vintage Remedies School of Natural Health. One of my favorite places to buy herbal products, tea, bulk herbs, tea supplies and lots of other herbal things is Mountain Rose Herbs. They offer lots of tutorials and YouTube Channel videos created by John Gallagher or Rosalee de la Foret of LearningHerbs.com. 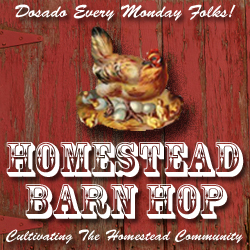 Hop over to Herbal Rootszine to enter a Mountain Rose Herbs giveaway. But hurry because the contest ends on Friday! While you're there, check out their beautiful herbal calendars that are 20% off for a limited time! Hello, again! Can you believe it's December already!? With Christmas just around the corner, we thought we'd focus this week's gathering of wildcrafting ideas on projects for Christmas gift giving! Do you have an herbal/natural craft or gift idea you'd like to share with us and all our readers? 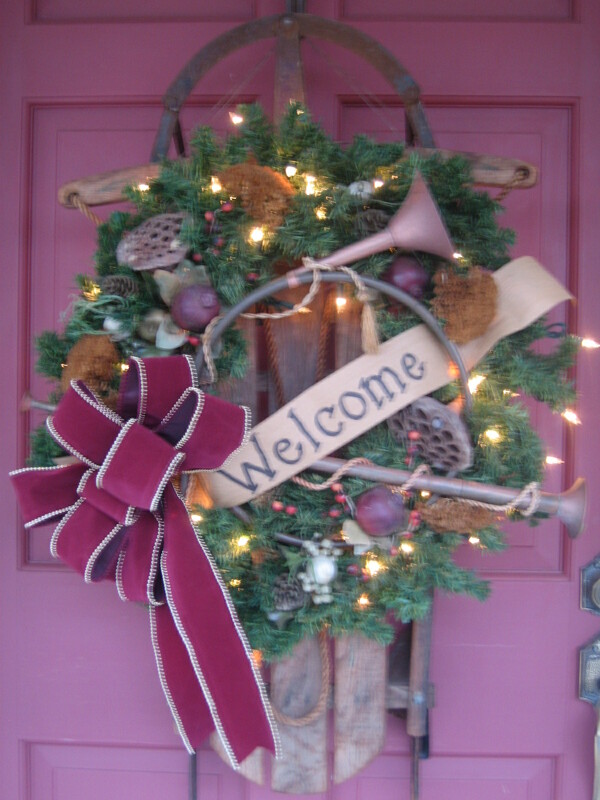 Join Kathy @ Mind, Body and Soul , Laurie @ Common Sense Homesteading and me, The Woodwife, as we host the Christmas gift edition of Wildcrafting Wednesday! While traditional wildcrafting refers to gathering herbs and plants in the wild to use for food and medicine, this is a Blog Hop for gathering your favorite old time, traditional herbal posts, home remedies and crafting ideas. 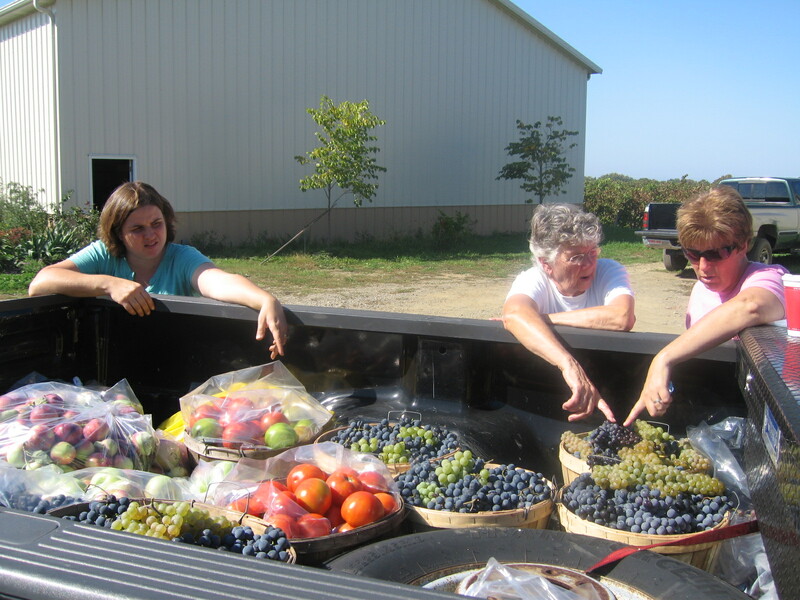 It’s a place to gather information on ways to incorporate herbs and old fashioned wisdom in our day-to-day life. It is anything and everything herbal – from crafts to cleaning to tinctures to cooking – it's remedies and natural cures made at home from natural ingredients – it's self-sufficient living and back-to-basics tips to make and preserve food, save money and resources – if it involves herbs or traditional methods of homemaking, home healing or other traditional skills then we want to read about it! 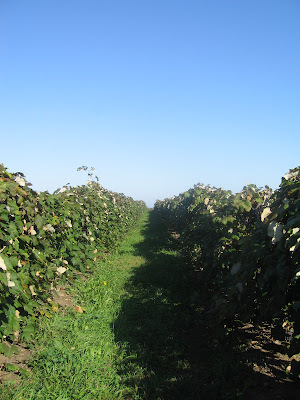 You see, it's kinda like stepping out into the "wilds" of cyberspace to gather ideas that make our homemaking skills or "craft" more healthy, more resourceful...more sustainable. Wildcraft! Please join us today as we gather ideas for crafting homemade gifts just in time for Christmas! 1. Please link up your crafting blog post using the Linky widget below. If you are posting a gift giving recipe, only real food ingredients are permitted. This means no processed or prepackaged foods! 3. Please place a link back to this post. That way your readers can benefit from all the other crafty ideas too. This also helps out the other participants who are hoping to get more traffic to their blogs. If you’re new to blogging here’s what you do: Copy the URL of Wildcrafting Wednesday from your browser address bar. Then edit your post by adding something like, “This post was shared on Wildcrafting Wednesday at The Woodwife's Journal” at the end of your post. Then highlight “Wildcrafting Wednesday at The Woodwife's Journal”, click the “link” button on your blogging tool bar, and paste the URL into that line. That’s it! 4. Please only link posts that fit the carnival description. (Remember we're focusing on ideas for Christmas gift giving this week.) Old and archived posts are welcome as long as you post a link back as described above. Please don’t link to giveaways or promotions for affiliates or sponsors. That keeps our links valuable in the future since a link to a giveaway three months old isn’t going to be worth browsing in three months time, but a link to an herbal tip will be. 6. Don’t have a blog? We still want to hear from you! Please leave your herbal tip, recipe, home remedy or craft idea in the comments. With Halloween just around the corner and many parties going on this week, it's important to know that viruses and bacteria lurking all around us are ready to jump out and scare you into an illness...metaphorically speaking, of course. But Halloween can be a scary time for your immune system when you consider that sugar and carbohydrate consumption (large quantites of which are consumed at parties and in Halloween treats) can significantly lower your immune system for 4-5 hours after they are eaten. Significantly meaning 50 - 90 % depending on the amount! That is scary. I was going to write a bit more about this when I discovered an excellent article here. Read it and enjoy! Then take whatever measures you need to to limit weakening your immune system defenses. Thanks to a very helpful young man, I've learned some really useful, time saving ways to improve what goes on here at The Woodwife's Journal. As a result, I've updated the links on the Herbal Medicine Chest Page. Check it out! I'm feeling so blessed today because I just discovered that I've been featured as the Website of the Week in the CHEM (Central Homeschool Family Ministries from Wichita. KS) newsletter! Many thanks to everyone there for the shout out! 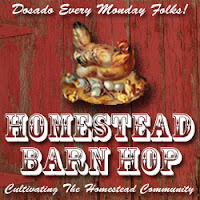 Please check out their newletter for lots of ideas and see what activities are going on in their homeschool community! Be sure to check out the Pumpkin Whip recipe! It's nice to know that when I'm in a crunch at night, in need of an herbal remedy only to discover that I don't have the one I need on hand, I can whip up an effective treatment in a short amount of time right here in the Woodwife's kitchen. One of our favorite herbal remedies is Clear Head Vapor Ointment for night time relief of congestion and soothing sore throats. This works well with Clear Head Vapor Salts for day or night time use. I needed a batch in a hurry last night so I went to the supply cabinet to gather my herbal ingredients only to remember that I was out of un-petroleum jelly. But I did have a tub of olive butter so I grabbed that instead. You could also make this using a basic salve/ointment recipe of olive oil and beeswax. You can see mine here. So here's the olive butter alternative to my original. I filled a 2 oz. jelly jar almost to the top with the olive butter and heated it gently until most of the butter had melted. 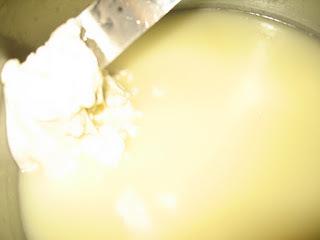 Then I removed it from the heat and stirred until all of the butter had melted. 5-6 menthol crystals - I should note that I added this ingredient to the original recipe. I mixed it all together and cooled it quickly in a bowl of ice water, stirring until it was "buttery" again. The aroma was so soothing that I felt relaxed just preparing it. This remedy is part of Wildcrafting Wednesday. This past weekend, the weather was beautiful here in PA! I traveled with some friends to the Maas family vineyards and orchards in North East, PA to pick grapes, apples, tomatoes and peppers! 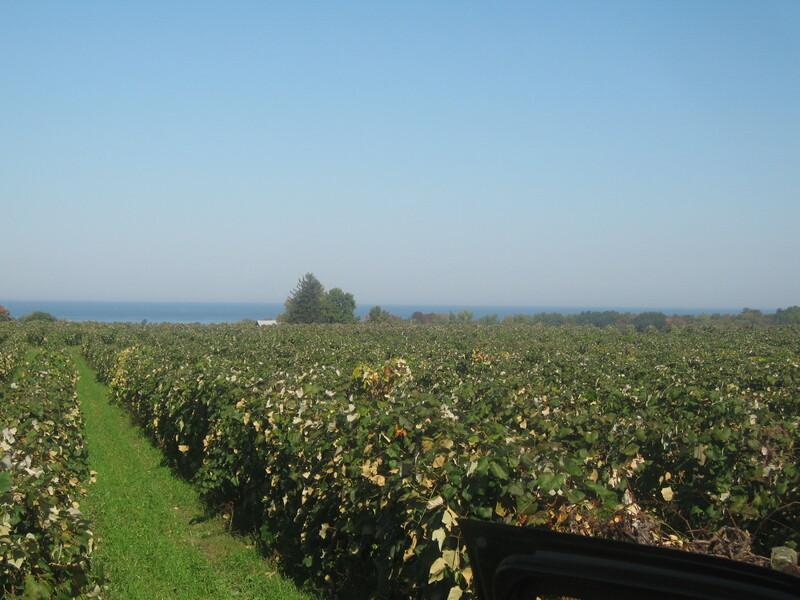 It's a lovely rolling farm that ends on the shores of Lake Erie. 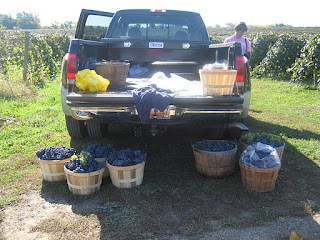 They grow several varieties of wine grapes but of course the largest portion of the vineyards seemed to be blue concord which they also sell to Welch's. 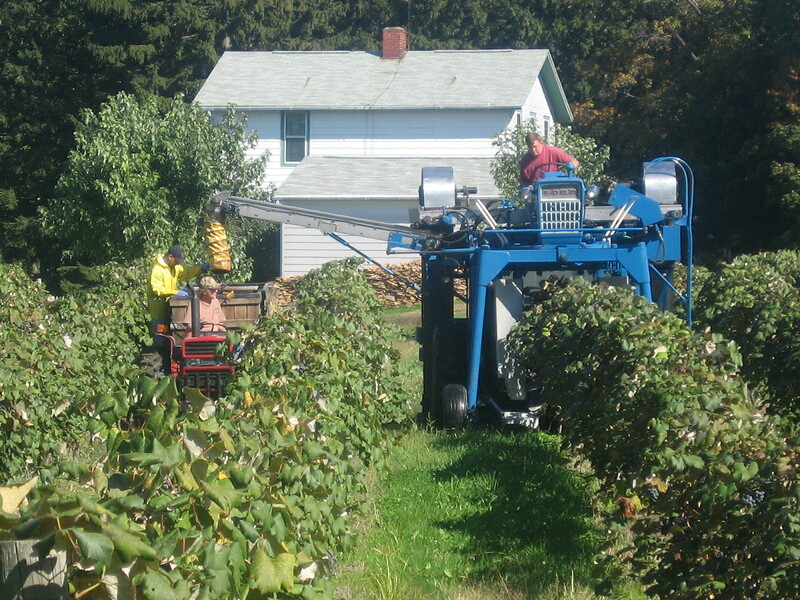 We got to see the harvesting in action as the huge picking machines devoured the rows of grapes leaving behind empty vines. I had no idea how they worked and it was awesome to see. 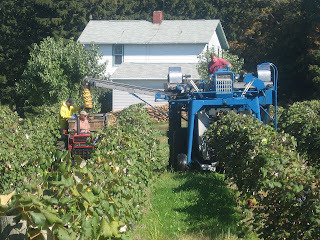 We passed up the opportunity to ride the picker so we could start the journey home. The fall colors are nearly at their peak here in Central PA and we enjoyed the carpets of twead covering the gentle hills we traveled through. The sugar maples with their flaming, almost glowing, red tops are the most spectacular. As we got closer to the Lake, the colors were less intense. Probably due to the milder temps coming off the water. I think autumn is my favorite time of year. There's just something about the crisp evenings and fruity, musky aromas that can only be made better by the smell of a wood fire. 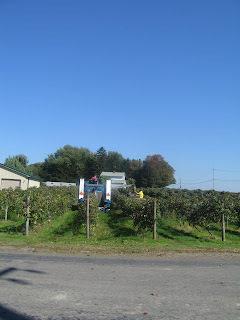 We watched the harvesting machines "picking" grapes for Welch's. How beautiful! 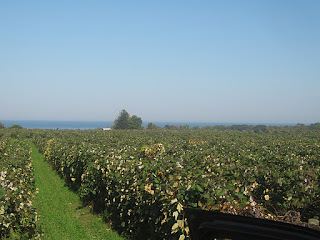 The vinyards seem to grow all the way to Lake Erie! through a large tube into wooden boxes on a wagon in the next row. So, now I have my work cut out for me!